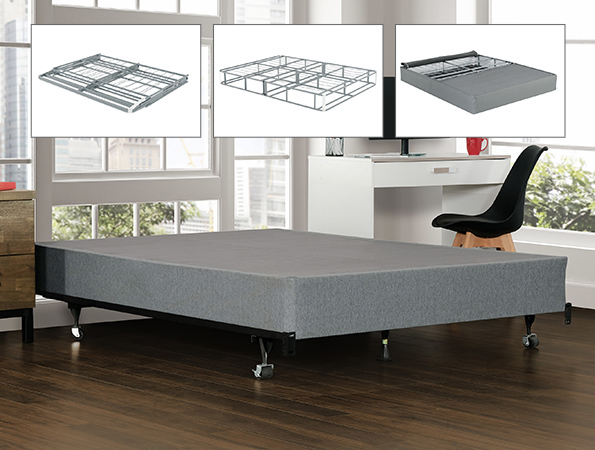 Insta-Box 2 portable bed base features all metal construction to provide a strong foundation suitable for any mattress. When not in use, innovative design folds in half and collapses for convenient portability and compact storage. Detachable non-slip linen cover included.